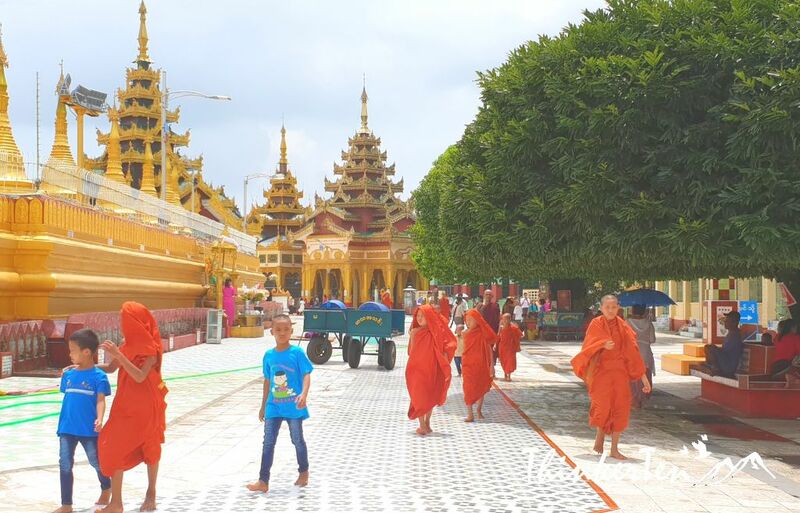 Bago is just 2 hour drive away from Yangon and I strongly recommend anyone who is doing Yangon free and easy to include Bago too. 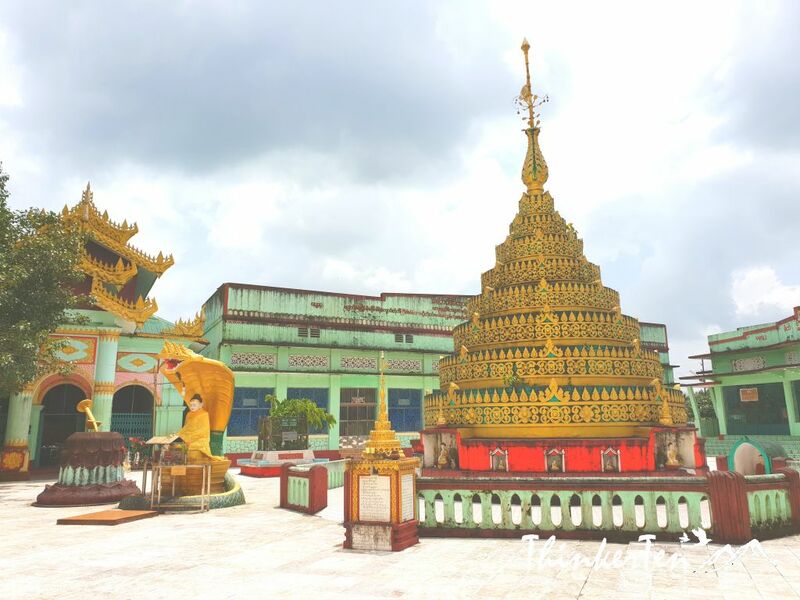 It is the ancient capital of Myanmar, 4 important historical sites are located around Bago city and one of them are Shwemawdaw Pagoda. 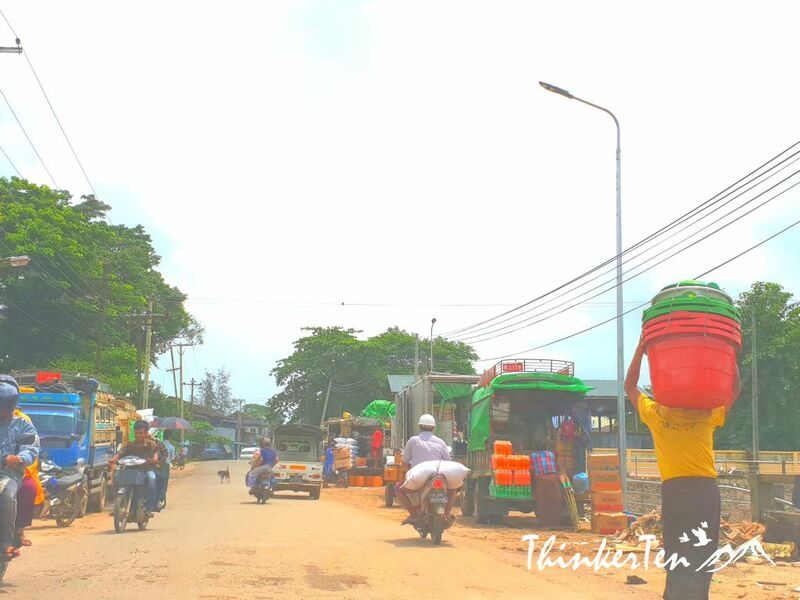 A day trip to Bago is doable as hotel in Bago is still lack of proper facilities and city folks like us may not get use to it. 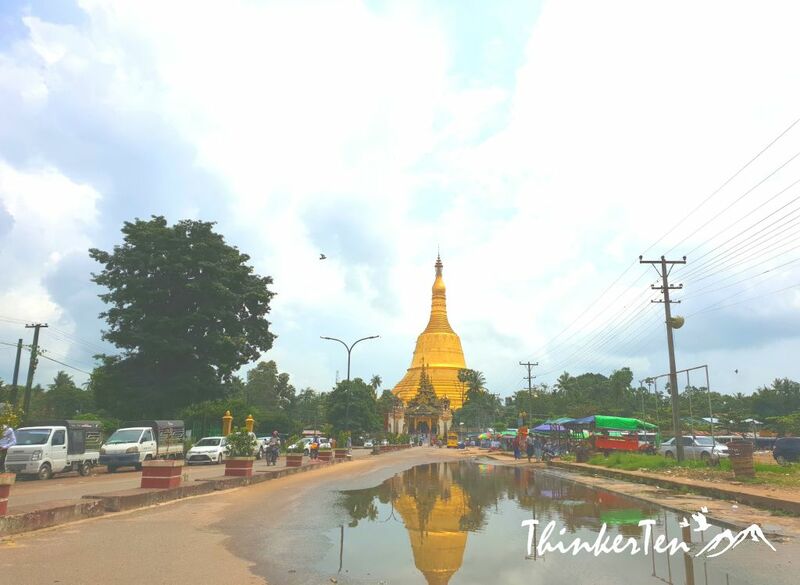 So I still suggest you to stay in Yangon. Shwemawdaw Pagoda in Bago is 114 meter which made the tallest pagoda in whole Myanmar. Swedagon Pagoda in Yangon is also huge and tall but it is still shorter than Shwemawdaw Pagoda by 15 meter. Before reaching, you can see Shwemawdaw Pagoda from a far. At the entrance, you need to take off your shoes before entering. 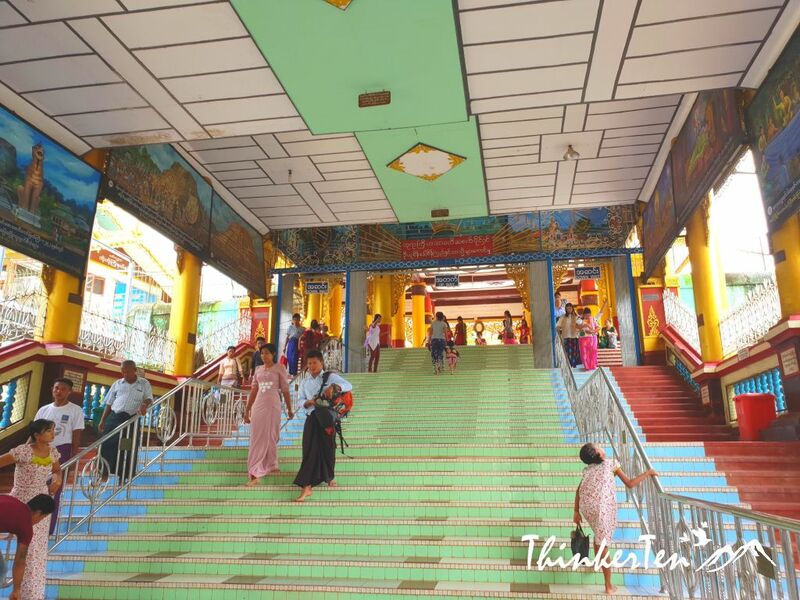 There are stairs to go up to the Shwemawdaw pagoda. 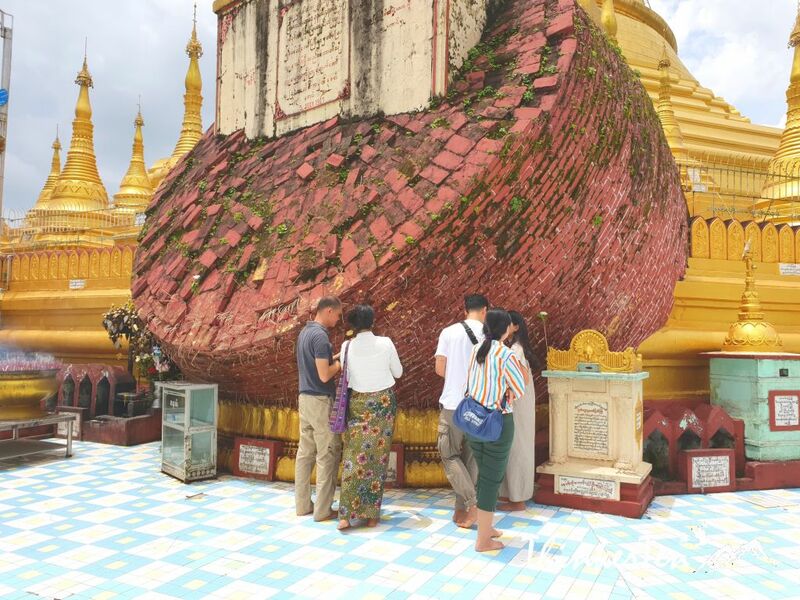 The tall stupa has experienced several earthquake over the centuries, one in 1917 and the other in 1930. Each rebuild and repair made the stupa a little taller untill 115 meter now. Volunteers are cleaning the stupa during my visit, so the floor was very wet. Walk carefully as I nearly fell down couple of times. Usually there are long mat placed around the stupa, so it is safer to walk on the mat but it is a bit irritable. There are several pavilion and shrines around the big stupa. 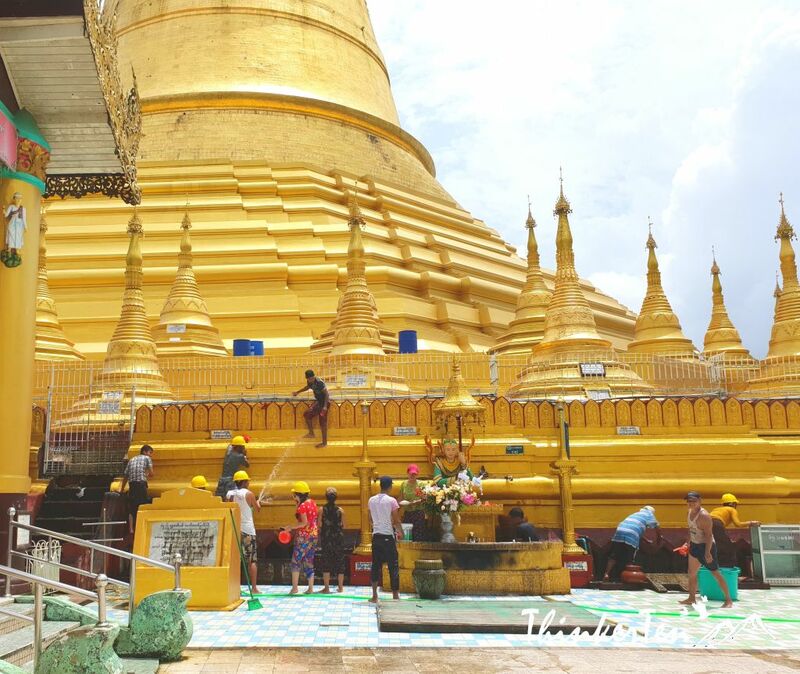 It is more spacious as compared to Yangon’s Swedagon Pagoda. Little monk walking around the temple complex added a calming ambience. 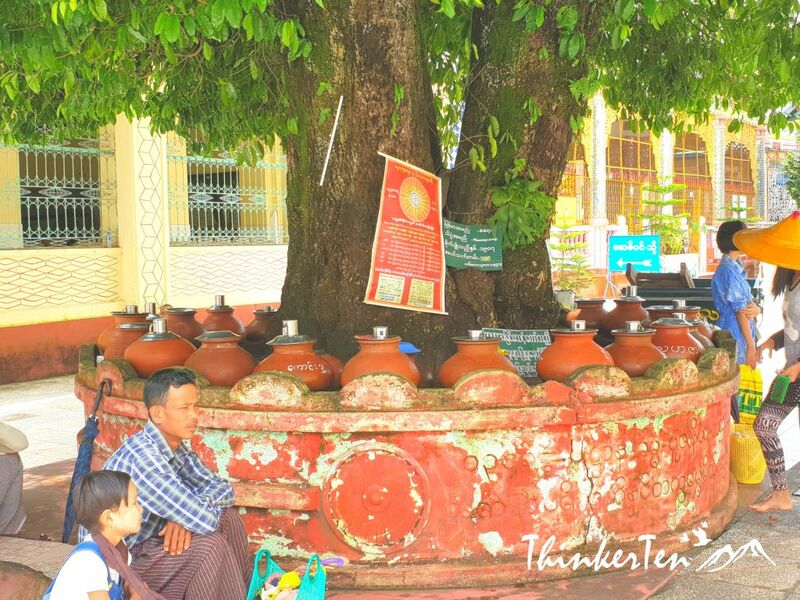 Visitors resting under the Bodi tree. 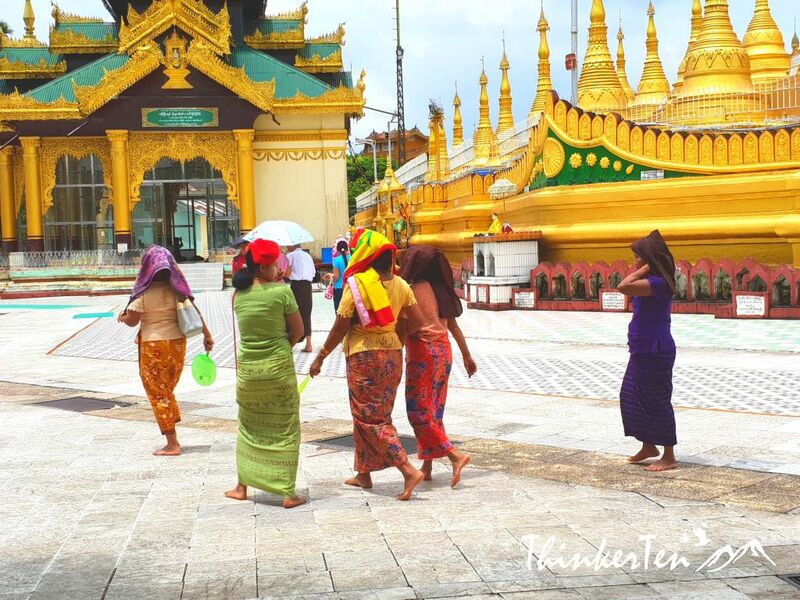 Burmese are usually seen wearing their traditional clothing when visiting the temple. No shoes, no sleeveless and knee-length attire. Moment of prayers at the praying corner. The layout look similar to Swadagon Pagoda in Yangon but less crowded and less foreign tourists. Myanmar horoscope practise based on the day of the week and the person date of birth is important. There are 8 zodiac signs in Myanmar, one for each day of the week (but two on Wednesday). These signs representing by animals with Monday being a tiger, Tuesday a lion, Wednesday morning an elephant, Wednesday afternoon a tusk-less elephant, Thursday a rat, Friday a guinea pig, Saturday a dragon and Sunday a Garuda (mythical bird). When a child is born, it is common to be named using a name associated with their zodiac sign. Most pagoda has a special corner dedicated to each sign of the zodiac and this is the birthday corner. People visit pagodas to pay respects to their corner. Can you remember which day of the week you were born? Well, I don’t know which day of the week I was born so I was not able to pay respect at the birthday corner. The Shwemawdaw Pagoda was built in the 10th century by a Mon King. The pagoda enshrine two hair relics of the Buddha. According to legend, the hair strands were given to two Burmese traders by the Gautama Buddha himself. 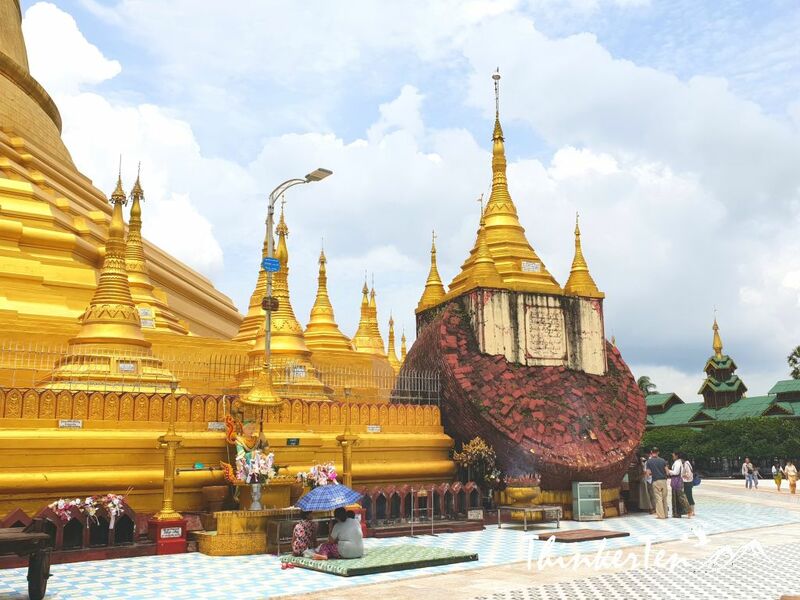 In the year 982 and again in 1385, tooth relics were enshrined in the pagoda. This is the section broke off during the earthquake 1917. It is not pained with gold. 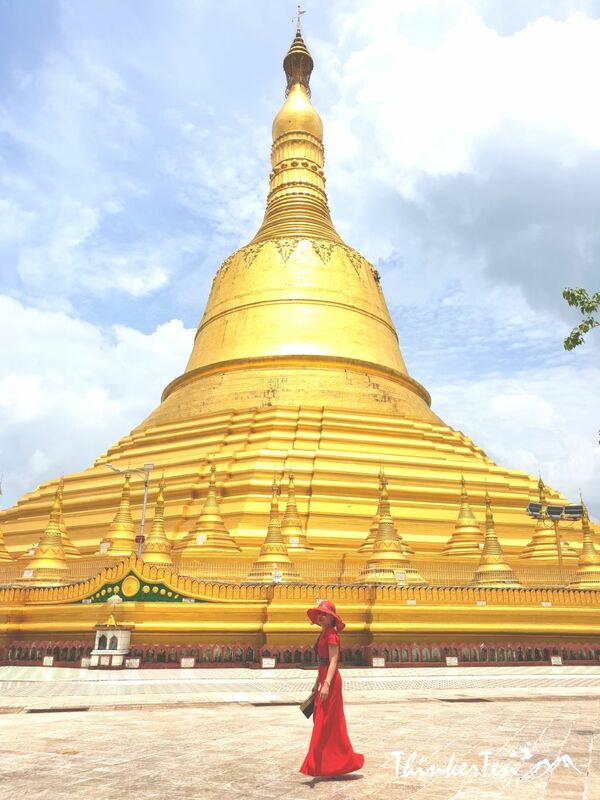 Similar to Swedagon Pagoda, Shwemawdaw Pagoda is one of the icon in Bago city, ancient capital of Myanmar. 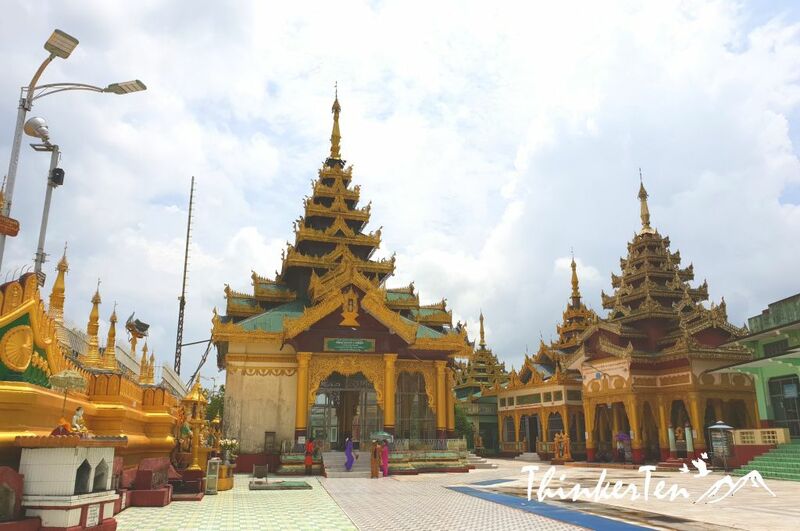 Shwemawdaw Pagoda is the tallest pagoda in Myanmar, the towering pagoda glittering in the sun can be seen from far away. 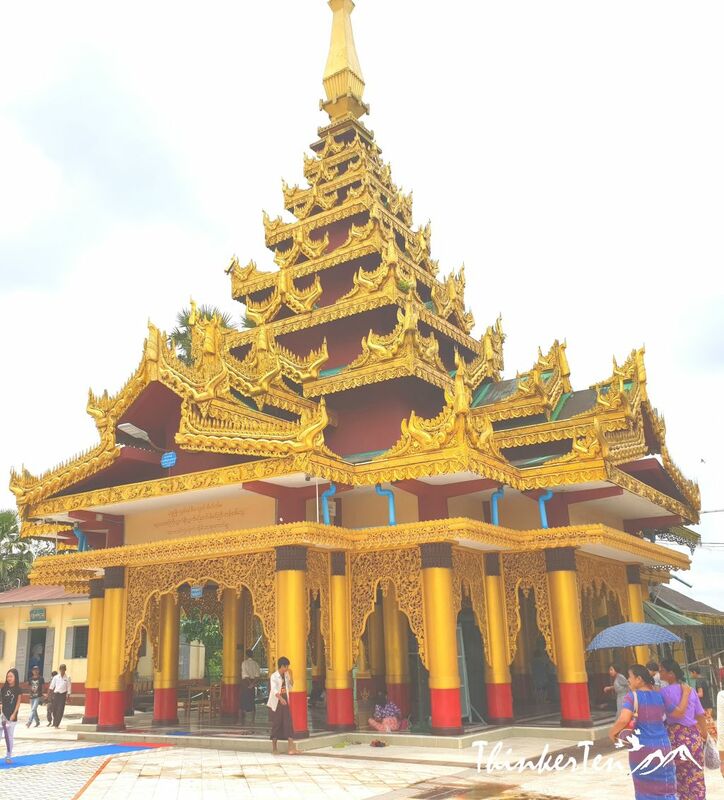 Get Bago archeological zone ticket at US$ 10 per person which is valid to visit the pagoda other 3 historical sites in Bago. I would to visit such a place. The cultural differences between there and here are huge and I would love to check them out! The one thing I actually find hard to adapt is walking on barefoot around this huge temple complexes. Some part of the temple was pretty wet due to the cleaning while most part are dry but the floor is scorching hot to step on to. LOL. A wonderful virtual travel. Surely there are beautiful spots in Asia and one this this is the smiling beau of Myanmar. Thanks for your comment and glad to learn that you love the pictures. the earthquake evidence is paints such a striking picture to remind us all that all that we have can easily be taken away by mother nature. You are right, the earthquake evidence look different from the gold pagoda and it stand out too. This portion is the original of Shwemawdaw Pagoda. That looks like a great place to visit and it is so amazing that they rebuild it after an earthquake. I have not ever been near there but it seems like a special place to visit. Awesome pictures. This sounds like a great place! These structures are all so beautiful. I can only imagine how impressive they are in person. I would love to be able to see it all myself. The golden stupa can be seen from far away so it is very huge indeed. I never realized how gorgeous everything is there. All of the gold is just stunning. It would be a fabulous place to visit. 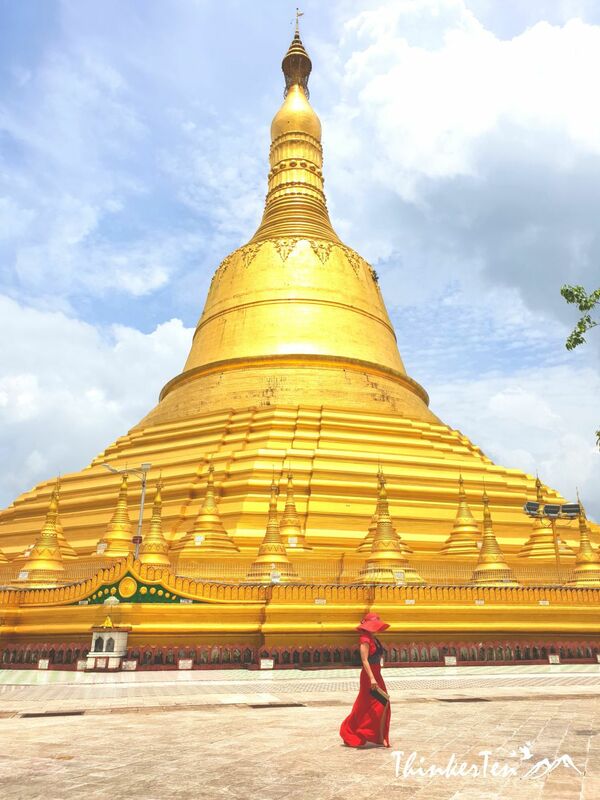 Myanmar is also known as the “Golden Land” as glittering pagodas can be seen everywhere. 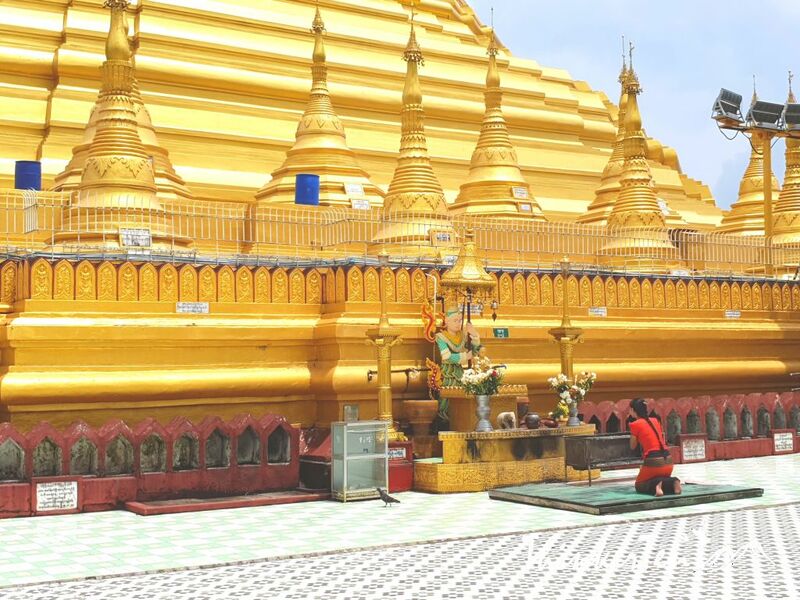 Shwemawdaw Pagoda is the biggest Golden Pagoda in Myanmar. The pictures are really beautiful. Thank you for sharing your trip with us. I really would love to visit one day when I start traveling. Wow these pictures are amazing! What a beautiful place to visit…I hope to be able to see the world with my hubby someday! Myanmar is a land of pagodas, beautiful but still very backward compared to its neighboring countries such as Thailand and Hanoi. It is backward due to political turmoil and isolation for 50 years and closed off to tourists. Myanmar only re-open it doors to foreign visitors and investors since 2011. Having said that, Myanmar is still highly recommended if you are in Asia. I like how cheap this place is as compared to Thailand and Hanoi. This looks like an awesome statue. I would love to see this someday. 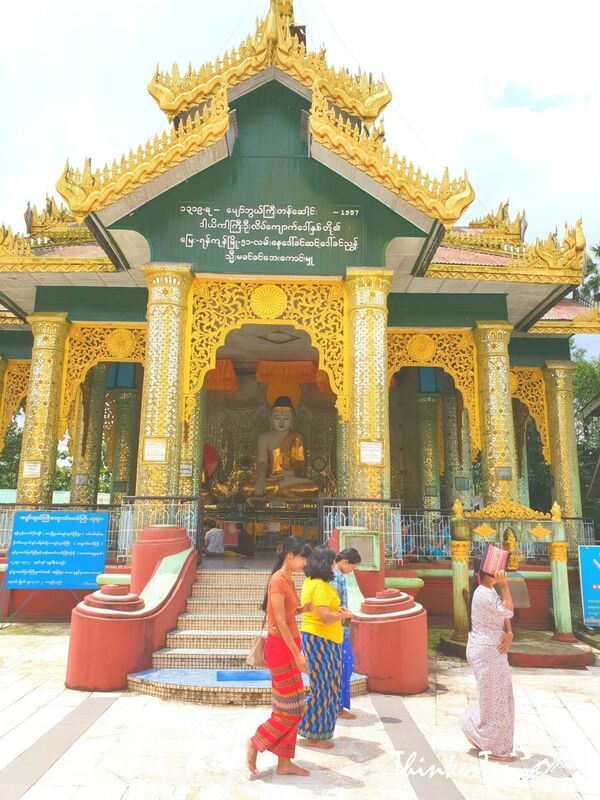 The big statue that you see is the Burmese pagoda which typically house Buddhist relics. The shrines around the temple complex have very intricate and beautiful architecture. I love the layered tiered roofs (pyatthat), one of the signature in Myanmar. Wow! I love this place, it’s really looks beautiful and nice. I would love to visit soon with my family. 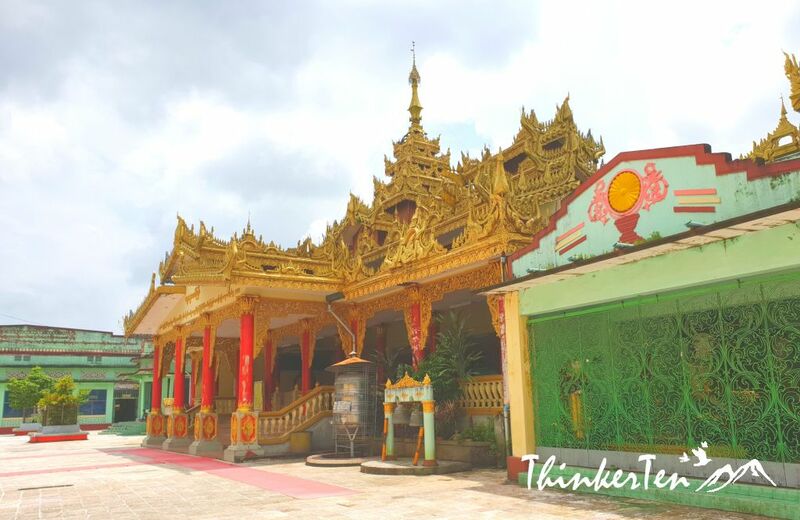 The temple pagodas, the local market, the street foods are all the reason to visit Myanmar. Tousism is still far behind Thailand but Myanmar still have its own unique characters to attract tourists around the globe. Wow. It looks breathtaking. I can’t imagine how amazing it must be to visit in person. All the detailing seems so intricate – what a fab find. 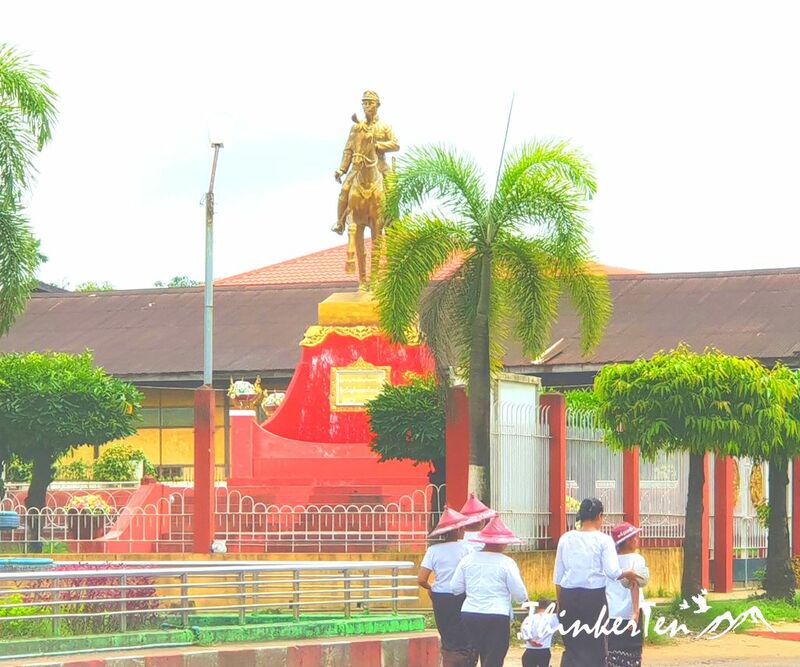 Bago day trip to visit several important historical site is highly recommeded. That is interesting that it get a little taller each time due to rebuilds after an earthquake! I love the pictures too. Just gorgeous.